Mini-Campers enjoy three action-packed days at camp! 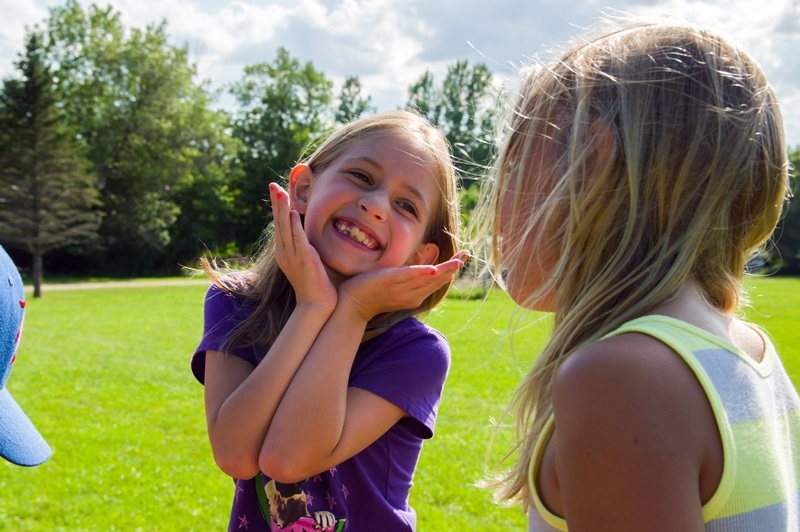 Learn about nature, make new friends, bunk in a cozy modern cabin, read Bible stories, play in our swimming pool and sing songs around a warm campfire in evenings – all supported by wonderful camp counselors who are excited to play and pray with our first-time campers. A safe, memorable, and fun first-time adventure at summer Bible camp. Choose either a Sun.-Tues. or Wed.-Fri. session. This special 3-day horse program is a blast! Kids will enjoy a safe, fun introduction to horsemanship, arriving at 9 a.m. and returning home at 3 p.m. each day, Wednesday-Friday. In addition to caring for and riding a special assigned horse, kids will love other activities, too – like Bible stories, skits, nature hikes, songs and games led by caring camp counselors. Please note the schedule: Wednesday-Friday, 9 am – 3 pm (2pm closing program on Friday). This is not an overnight program. Parents/Guardians are responsible for transportation to and from camp each day. Thank you! 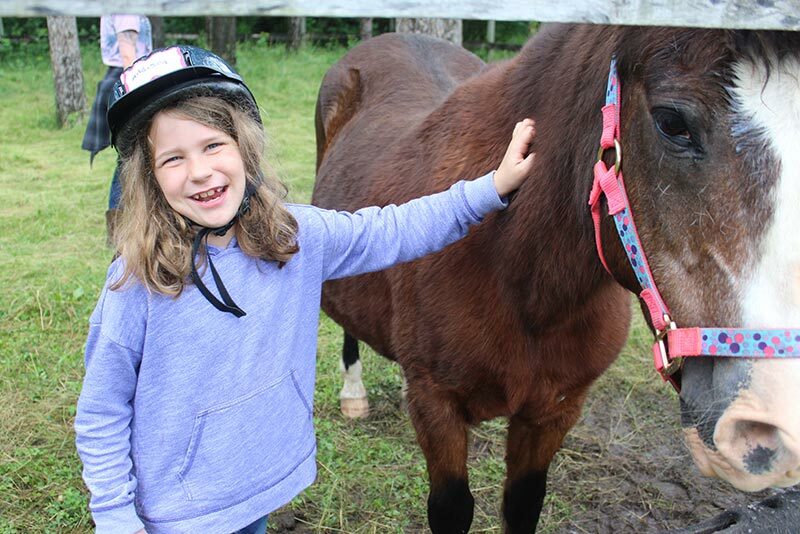 This 3-day overnight horse camp offers younger kids, even more, rewards of the camp experience. 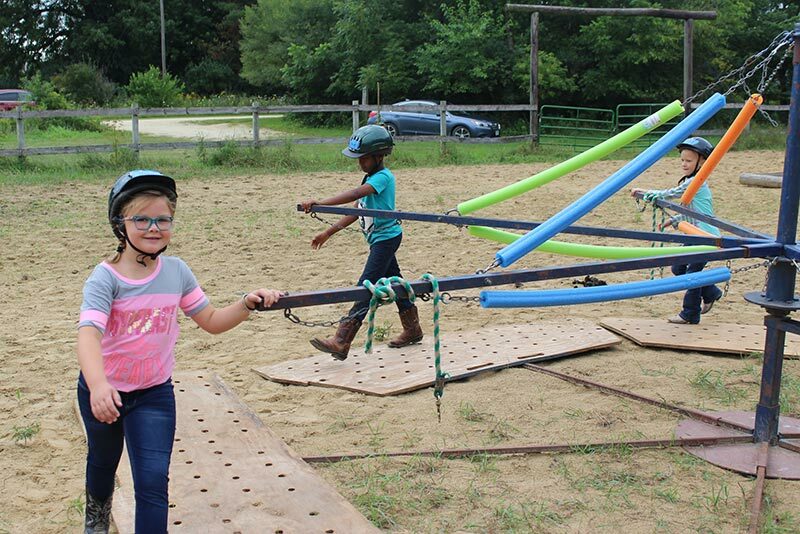 By day, campers keep busy with learning and practicing horseback riding as well as a host of the classic camp activities. By night, kids sleep soundly in bunk beds in Ewalu’s newest cabins. They’ll love life at the ranch during riding times, games, nature hikes, Bible stories, fun mealtimes, and interactive worship songs around a campfire. Ranch Mini-Camp program runs Sunday through Tuesday. Explore your faith as you explore the trails! You’ll learn about God’s awesome love swimming at the pool, playing cool games, hiking in the forest, singing at campfires, and even making real s’mores with your friends. As an Explorer, you will also get to try out creek-stomping, sleeping in nice cabins, and meeting the fun animals at our Pioneer farm, and much more. Blaze new trails in the forest, and in your faith! Enjoy how the “simple life” outdoors is full of new adventure as you cook tasty meals over the fire, see amazing wildlife with cool new friends, and make homemade root beer. 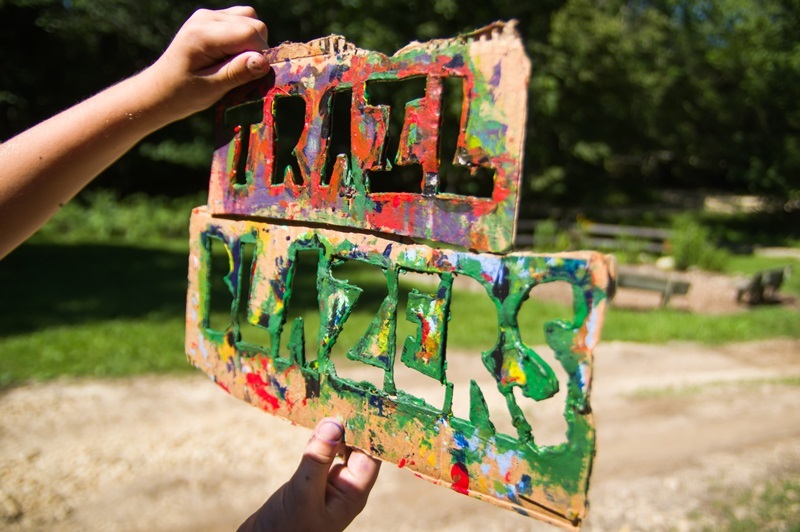 Sleep in your Trailblazer village (cabins) across the mighty Maquoketa River. 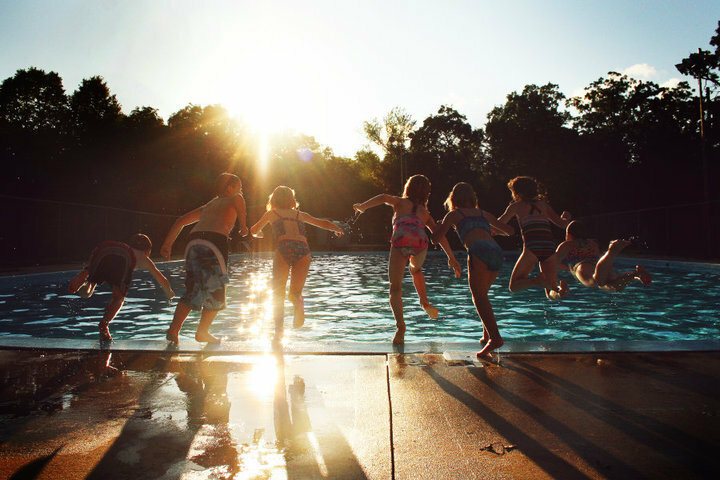 Play epic outdoor games, swim at the pool, learn orienteering, sing cool songs, and experience the great outdoors! Come learn about Ewalu’s amazing forests, animals and plants – in hands-on ways! Enjoy nature arts and crafts, practice archery skills, cook tasty food over a fire, sleep in teepees and explore other woodland shelters. As a Forester, you will also enjoy learning from traditions, games and stories of various Native American cultures. Explore your connections with God, creation, and people through this adventure in Christian community. At this daytime-only program, come for five action-packed days at the ranch with horses. 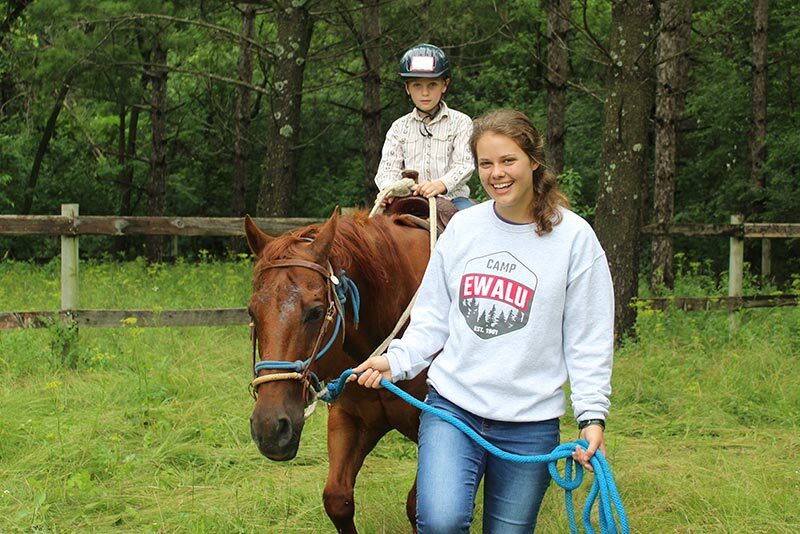 Arrive each morning Monday-Friday at 9 a.m. to care for your assigned horse and learn horsemanship, then return home in the afternoons at 3 p.m. You’ll also enjoy Bible studies, exploring the woods and exciting Ewalu trails, funny skits, camp songs and awesome outdoor games. Please note the schedule: Monday-Friday, 9 a.m. – 3 p.m. This is not an overnight program. Parents/Guardians are responsible for transportation to and from camp each day. Thank you! Experience the true “good old days” as a Pioneer! 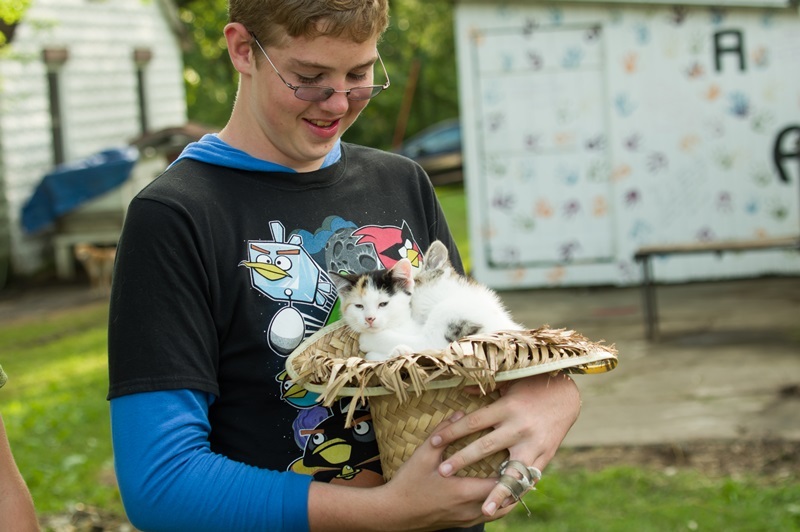 Take care of real farm animals and tend a pioneer garden, then sing songs by firelight and rest in your covered wagon on the tall-grass prairie. Enjoy growing and cooking food from the garden, exploring Ewalu, swimming in the pool, taking the High Ropes Course challenge, and participating in an old-fashioned hoe-down with special friendly outdoor contests only experienced by Pioneers. Hone your skills with early American tools and traditions as you practice ways to live close to God and to our world. Programs are for children and youth completing grades 1-6. For grades 6-9 and 9-12, click the “Middle School” or “High School” pages on the menu, above. Note: Elementary-age campers may register up or down one grade level. Example: a child completing 4th grade in the spring may sign up for Explorers, Trailblazers, or Foresters. Please notify our camp office if you would like to register for a program other than the grade listed. To reserve your spot, we must receive your registration and $100 deposit. Additional sibling discount of $15 is given for each additional camper from the same family. To receive the Early Bird Discount price listed ($40 off, for week-long programs), registration forms must be received or postmarked by the early-bird discount deadline of February 28th, 2018. Or, to receive a $20 early-bird discount (or $10 for half-week programs), register by April 15th. Financial assistance is available; contact Ewalu for more information. Use the links below to register online or download a registration form to mail or email your registration. 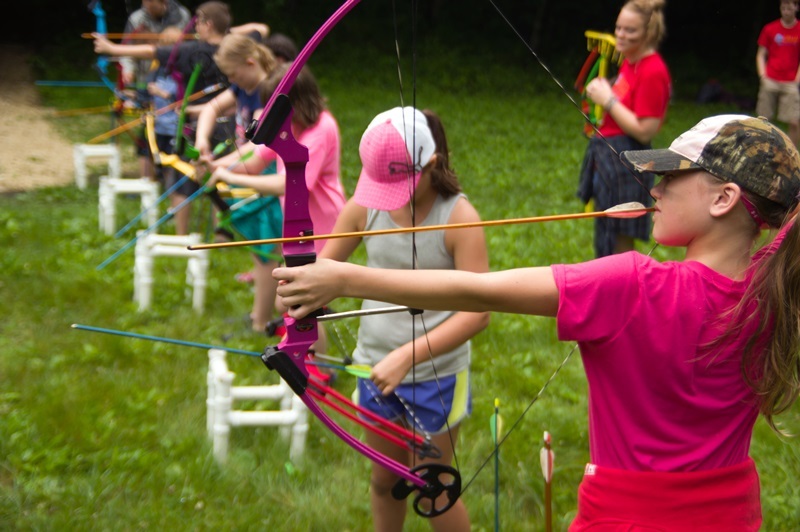 Summer camp brochures/registration forms have been mailed out to be distributed at many Lutheran churches; check with your local congregation. Ewalu is a non-profit organization and serves all people regardless of race, creed, gender, or national origin.